Shower speakers allow you to listen to your music wherever you want, including in the shower or in other wet situations, such as the hot tub or swimming pool. 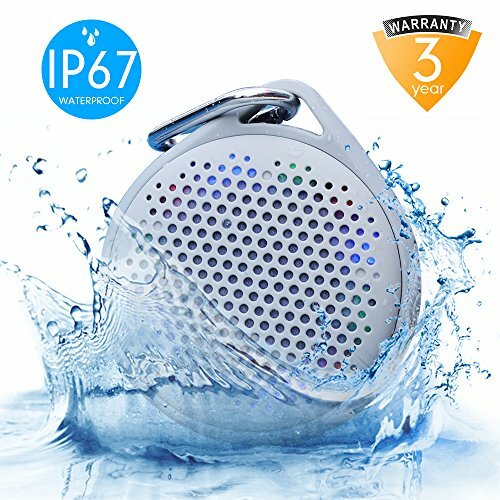 These unique speakers are water resistant at their bare minimum, but many are also fully waterproof and can be submerged in water without being ruined. If you need some music or other audio to get you motivated in the morning, shower speakers can help. Here at ReviewLab, our team has identified and reviewed a wide range of different shower speakers to help you better understand which features and products are most reliable. We’ve also created a shower speaker buying guide, which contains more information about the pricing ranges you should consider when purchasing a shower speaker, along with the core features you should come to expect in whatever model you purchase. Read more about our methodology. The Honstek K9 is waterproof and extra durable, and it’s even completely waterproof. This speaker also provides a long-lasting battery life. If you’re looking for a reliable speaker to produce high quality audio while you’re showering, you won’t want to miss out on the Honstek K9. The AVWOO A021 is a portable, powerful and long-lasting shower speaker that produces high-quality audio. With a large battery and included clip for easy attachment, this shower speaker is also a convenient choice for anyone looking for an affordable and reliable model. The H2oVibe Handheld showerhead speaker is a unique shower speaker that allows you to combine the two functions of showering and listening to music into a single unit, which creates a seamless, blended experience. This shower speaker is reliable and long-lasting, making it a great choice overall. 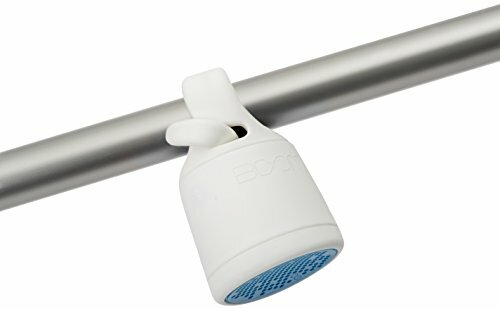 The Sbode M400 shower speaker offers a unique solution to your shower audio needs that includes FM functionality, along with microSD and auxiliary ports for additional inputs. These features, along with water resistance, make this a solid choice in the shower speaker market. The Polk Audio BOOM Swimmer shower speaker is compact and extra portable, providing an interesting design that allows you to place it anywhere in your shower with ease. 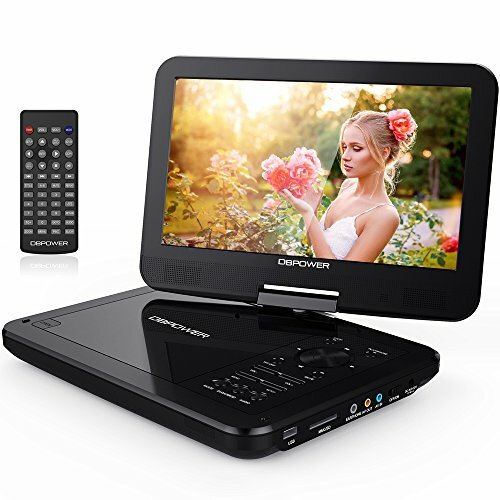 It also offers full waterproofing and a high level of audio quality. 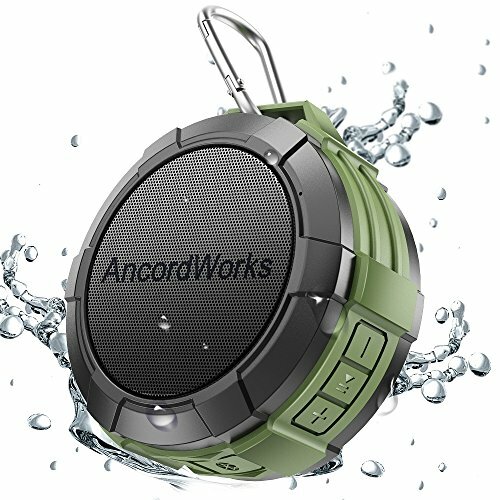 The AncordWorks A6 shower speaker is versatile, durable and water resistant with a useful suction cup attachment that helps you place the speaker wherever you want in your shower. With a built-in mic for phone calls and good water resistance, this shower speaker is a hard pick to pass up. The first consideration you should make when purchasing a shower speaker is what level of water resistance it offers. You may assume that all shower speakers are waterproof, but that isn’t the case. Water resistance is measured with an Ingress Protection, or IP, rating, which determines how well the internal components of the speaker are sealed against water and other foreign bodies. When buying a shower speaker, you should purchase one with at least an IPX5 rating, which protects against higher-pressure splashes from water jets. Fully waterproof shower speakers carry a rating of at least IPX7, meaning they can be fully immersed in water with no negative effects. The audio quality of the shower speaker you buy is also an important feature that should consider. The level of quality you want is something you should decide on beforehand. If you’re using it for yourself and don’t need a lot of sound, you can easily get by on a lower level of audio quality. However, if you’re an audiophile who wants to hear every range possible of the music you’re listening to, a higher level of audio is essential. You may also want to consider if you’re going to use the speaker in environments other than your shower. If you want to use your speaker around the pool or hot tub, a higher level of audio quality may be necessary so everyone can enjoy the experience. Shower speakers can either be freestanding units or attachable to some aspect of your shower. Freestanding speakers simply sit on the ground or shelf in your shower, and you can easily move them or take them out of the shower completely. Attachable shower speakers can be affixed directly to a surface in your shower via suction cups, clips or integration with the shower head. If you want to use your speaker in other applications, consider purchasing a freestanding shower speaker. If you only want to use it in your shower, consider purchasing a model that can be attached. Depending on how you use your shower speaker, durability can be a huge factor to take into account. Clips and suction cups can fail, which means your shower speaker may fall to the ground during use. In these instances, durability is of extra importance to consider. The same goes for using the speaker around the pool or hot tub. The more durable the shower speaker, the longer it will last over the years of use. For under $25, you can buy a budget shower speaker. These shower speakers are typically smaller in size and don’t offer full waterproof IP ratings. In the $25-$50 range, you can buy a shower speaker that works well for most consumers. These shower speakers are more durable and some offer full waterproof IP ratings. For more than $50, you can buy a premium shower speaker. These speakers are typically fully waterproof and offer extra durability. Speakers in this range may also offer unique solutions such as integration with shower heads and durable attachment features. The Honstek K9 is a durable and powerful shower speaker that offers both Bluetooth and 35mm input options. This speaker is completely waterproof and extra sturdy, making it the perfect choice for people worried about the lifespan of their products. It also offers an impressive battery life that will keep you rocking out in the shower longer than most other models on the market. These features and more are why the Honstek K9 is ReviewLab’s Top Pick for shower speakers. Completely waterproof. The Honstek K9 is a completely waterproof shower speaker with an IPX7 waterproof rating. This means that you can fully immerse the speaker under water as deep as 1 meter for up to 30 minutes. Many users purchase the speaker for this feature alone, and have been exceptionally pleased with it. Powerful, high-quality audio. Many users report that the sound this shower speaker produces is comparable to the audio from high-end Bluetooth speakers. With dual, 10-watt drivers for a combined total of 20 watts of power, this speaker is powerful enough to use with the white noise of the shower without drowning out the music. Superb battery life. The Honstek K9 shower speaker offers an impressive 5200mAh battery that can provide up to 16 hours of continuous use. This means you can use the speaker for longer periods of time between charging it. Many users are extra-impressed with how long the battery lasts. Durable and sturdy build. This shower speaker can take a beating, if necessary, due to its extra-durable and sturdy build. It’s encased in a silicone case that helps absorb shock from being dropped, which many users report has saved their units from more than one fall. It also includes a heavy-duty clip that you can use to hang the speaker in your shower. On-unit controls can be complicated. Some users report that the onboard controls can be complicated at times, especially when skipping tracks. The AVWOO A021 is a small, portable shower speaker that still packs a powerful punch in audio quality and volume. This waterproof shower speaker can withstand extended exposure to full immersion in water, making it perfect for use in the shower and other wet environments. With a durable clip included and a long-lasting battery at a low price, this shower speaker is a great choice for people who don’t want to empty their wallet for music in their shower. Fully waterproof. The AVWOO A021 is a fully waterproof shower speaker, offering an IPX7 waterproof rating. This rating means that you can fully immerse the speaker in water up to a depth of one meter for up to 30 minutes without worrying about water damage. Many users are pleased with the high IP rating, as it means they don’t need to worry about water damage while in the shower. High audio quality. Many users rave about the high-quality audio this shower speaker produces, even in spite of its smaller size. The crisp audio does well in the majority of audio ranges, from lows to highs. This is especially true in smaller spaces, such as your shower. Strong battery life. Even though the AVWOO A021 is small, it still packs a punch with a strong 1000mAh battery. This battery gives you up to 12 hours of continuous play time, and many users confirm the fact, stating that they don’t need to charge it nearly as much as they have to with other devices. Durable clip included. This shower speaker includes a durable clip that you can use to attach the speaker to your shower head or handlebars in your shower. This also allows you to keep it close at hand if you ever use it outside of your shower. Many users appreciate this clip, as it gives them more flexibility in where they place the speaker for the optimal listening experience. Colorful, light-up design. You also get a fun experience with the AVWOO A021 because of its unique light-up design. Behind the speaker grill are lights that can change between seven different colors that cycle as you use it. Can’t skip songs. Due to its one-button design, you aren’t able to skip songs directly from the unit itself. You’ll need to use your phone instead. Shower head speaker combos are unique solutions to providing audio in the shower that seamlessly blend into your shower aesthetic. These shower speakers look exactly like normal shower heads, but actually contain the speaker within them. With controls included directly on the shower head, you can easily control your audio while simultaneously using the shower head without worry. If you want an unobtrusive audio experience in your shower, you should definitely consider purchasing a shower head speaker combo. The H2oVibe Handheld showerhead speaker is a unique, two-in-one shower head speaker combo that allows you to experience a spa-like shower with music for your entertainment. Once you’re done with your shower, you can remove the speaker and take it with you. With a powerful output, a strong battery life and an easy installation process, this shower speaker is a great choice for anyone looking to create a seamless aesthetic in their showers. Two-in-one functionality. The H2oVibe Handheld showerhead speaker offers a unique and incredibly convenient two-in-one functionality. This showerhead houses a removable speaker directly on the head itself. You can use this speaker in the shower and once you’re done, you can remove the speaker and take it with you while you dry off and get ready for the day. Many users are extra pleased that you can remove the speaker as it doesn’t interrupt their listening just because they got out of the shower. Powerful showerhead. Many users report that the showerhead component of this shower speaker is powerful and strong, leading to a satisfying shower experience. According to the manufacturer, the flow is three times more powerful than a standard showerhead, and users who left a review confirm the claims. Easy to install. 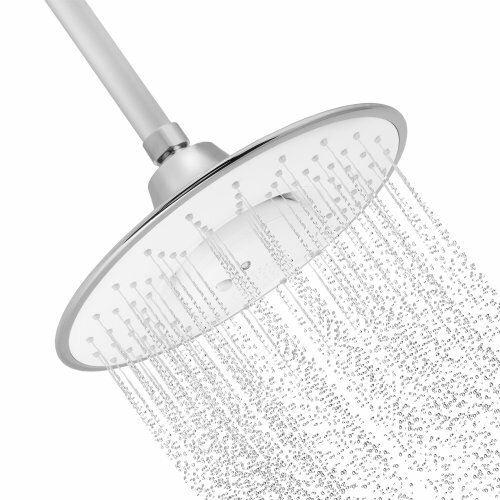 Since this is a showerhead, you’ll need to replace your current showerhead with it. 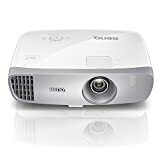 Fortunately, the installation is fairly easy, according to users who purchased the speaker, especially if you have prior installation experience. Even if you don’t have that experience, you’ll be able to easily install the H2oVibe Handheld showerhead speaker. Long-lasting battery. This shower speaker includes an 1100mAh battery, which can provide you up to 11 hours of continuous use. Many users state that the battery in their units last for several days between charges. Larger-than-normal water flow. Some users report that the H2oVibe Handheld showerhead speaker outputs more water than standard showerheads, which can lead to higher water bills. While most shower speakers today play audio mainly from your phone via Bluetooth, there are a variety of options that also include an AM/FM radio functionality. This gives you a broader choice when it comes to what kind of music or audio you listen to during your showers. Shower speakers with radio capability typically include radio tuning controls directly on the unit, along with the standard audio choices for your Bluetooth inputs. If you want a shower speaker that allows you to listen to your favorite morning radio talk shows, look no further than these. The Sbode M400 is a unique shower speaker that offers a convenient FM-radio functionality for greater flexibility in the way that you listen to music and other types of audio. It also additional input ports in the form of microSD and auxiliary ports for additional versatility. With water resistance and a unique “true wireless stereo” feature, this shower speaker is a reliable and flexible model that will fill the needs of many consumers. 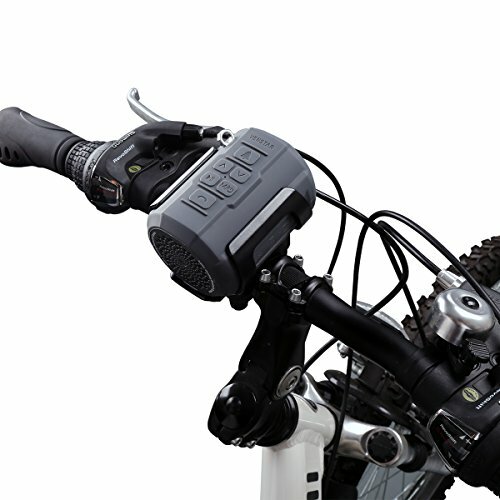 Included radio functionality. 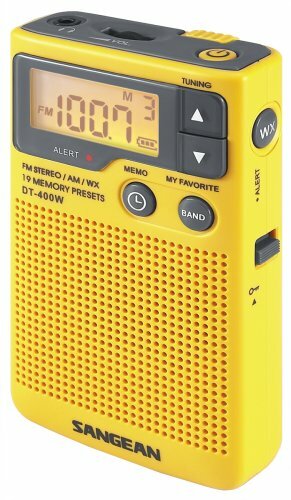 The Sbode M400 offers a unique and extra-convenient feature in that it includes an FM radio functionality that allows you to tune in to the available FM frequencies around you. Many users love this feature, and state that it is one of the reasons they purchased this device. Water resistant. This shower speaker offers an IPX6 water resistance rating. 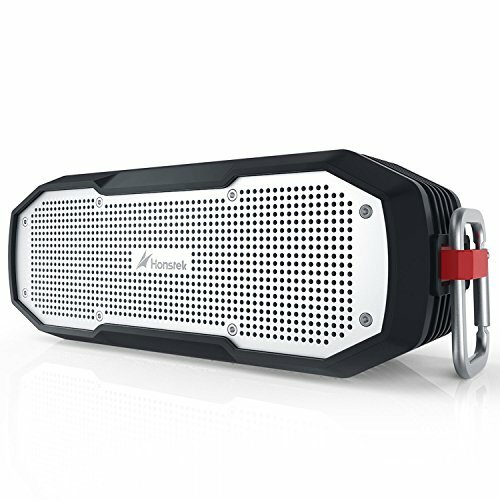 This means that while the speaker isn’t fully waterproof, it can still withstand splashes of water from water jets. This makes it ideal to use in showers. Great audio quality. Many users report that the audio quality from this shower speaker is superb, stating that it covers a good range of audio frequencies, including solid lows and crystal-clear highs. With higher audio quality, you can better enjoy the auditory experience in your shower. 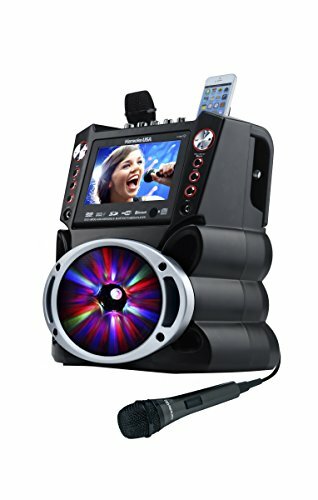 Can pair with additional speaker. The Sbode M400 also offers an incredibly unique functionality called True Wireless Stereo, or TWS, that allows you to connect to another Sbode M400 to mimic a stereo effect. This only increases the quality of the audio to create a richer and fuller auditory experience. MicroSD and auxiliary ports included. This shower speaker offers additional ports that you can use for audio input, including both a microSD port and an auxiliary port. This gives you greater flexibility to play the music or other types of audio that you want without having to use an additional device. Users who bought this unit were surprised at the inclusion of the microSD port and state that it works really well overall. Not as loud as other speakers. Some users report that the Sbode M400 isn’t as loud as other shower speakers, meaning it may not work well with a lot of background noise. Sometimes, smaller is better, even when it comes to speakers. 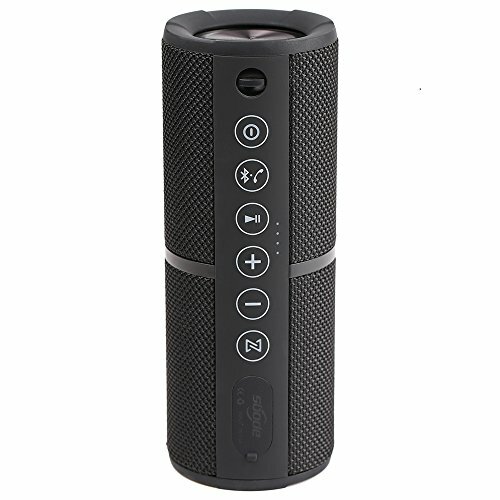 If you don’t have a lot of room in your shower, or if you want to take your speaker on trips with you, you might want to consider purchasing a mini shower speaker. These speakers are smaller than the standard shower speakers and are incredibly portable while still producing good audio quality. Many of these types of shower speaker also include intuitive and convenient attachment features so you can attach them to whatever shower you’re currently using. The Polk Audio BOOM Swimmer shower speaker stands out from the rest of the crowd with a truly unique design that allows you to attach it or rest it on about any surface you can imagine. It’s also incredibly durable and outputs high quality audio that many have come to expect from Polk Audio products. This mini shower speaker is the perfect choice for anyone who doesn’t have a lot of room to spare in their shower for an extra speaker. Incredibly unique design. The Polk Audio BOOM Swimmer shower speaker offers one of the most unique designs out of all the shower speakers on the market today. This mini shower speaker is small and includes a “tail” that can be used to attach to your showerhead or used to create a stand upon which the speaker can rest. The unit also includes a suction cup. Many users rave about this design, as it allows them a much higher level of versatility when using this shower speaker. Fully waterproof. This shower speaker provides an IPX7 waterproof rating, meaning it can be submerged in water up to one meter for up to 30 minutes. There’s no need to worry about water damage using this speaker in your shower. Extra durable. 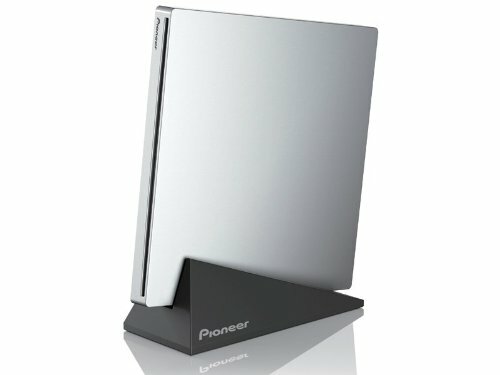 Many users report that the Polk Audio BOOM Swimmer is extra durable and have experienced that durability after dropping their speakers from tall heights. Since it’s a mini model that doesn’t have a lot of bells and whistles on the exterior, it doesn’t have as many opportunities for breaking. Controls are too small. Many users report having difficulty with the small, flush controls on the body of the shower speaker. In today’s market, most shower speakers are standalone units that simply sit on the floor or on a shelf in your shower. However, it can be inconvenient and even a little dangerous to constantly reach down to change a song or the volume while you’re in the shower. Some shower speakers are built with suction cups that you can use to easily and conveniently attach your speaker directly on your shower wall. If you want more accessibility in your shower speaker, consider purchasing a shower speaker with a suction cup. The AncordWorks A6 is a handy shower speaker that allows you to attach it to your shower walls with the included suction cup attachment. It also provides you with a durable carabiner-style clip that you can use to hang it from your shower head or shower handles. This speaker is also water resistant and comes with a built-in mic that you can use to make and answer hands-free phone calls. Handy attachment tools. The AncordWorks A6 shower speaker includes an incredibly handy suction cup for attaching the speaker directly to your shower walls. It also includes a durable carabiner clip that you can use to hang from your shower head or handlebars in your shower. With these handy attachment tools, you can place this model wherever you want with ease. Water resistant. This shower speaker offers IPX5 water resistance, meaning it can withstand splashes of water from water jets like your showerhead. While this isn’t full waterproofing, you can still use it in your shower without any worry, which many users confirm in their reviews of the product. Included memory card. The AncordWorks A6 includes a unique memory card solution that allows you to simply load music onto a card instead of connecting via Bluetooth. This TF memory card is included in the package and helps prevent your phone from getting wet from exposure to humidity in the bathroom. Make and answer phone calls. You can make and answer phones calls with this shower speaker, as it includes a built-in mic. Many users are pleased with this feature as well, stating that the mic sounds clear whenever you’re using the unit for a phone call. Memory card setup can be difficult. Some users report that the TF memory card setup can be difficult and frustrating at times.